I was a bit wary of trying this as it contains Eyebright and I had previously had a reaction to Eyebright in a previous eye product used many years ago. However, I need not have been concerned! This product is absolutely sublime and a delight to use. 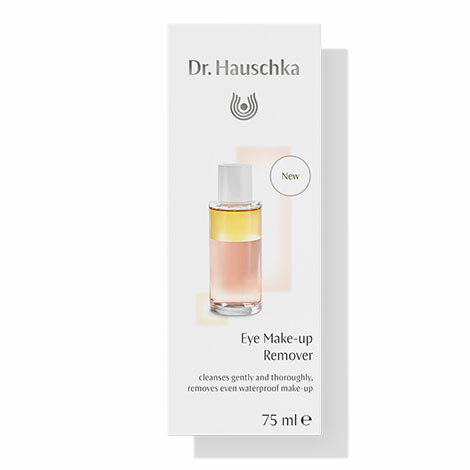 You have to shake the bottle well before use to combine the two layers (oil and water), the result of which is a gentle, really excellent eye make up remover - even on the hardiest of mascaras! There is no irritation of the eye area and your skin really does feel lovely afterwards. This product is well overdue and is now, by far, a hero product for me and the best eye make-up remover I have used. I've been looking for a natural eye makeup remover product that actually works and doesn't irritate the skin around my eyes for a long time, and was so happy when this finally came. It certainly works, and smells and feels lovely. I've nearly used all of mine already, so It's not too lasting, and therefore a bit pricey, but otherwise perfect. 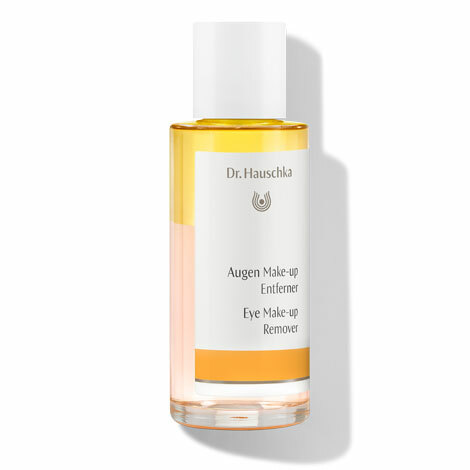 I was very curious to try as I have always thought this product is missing from the Dr Hauschka range. Whilst it is very good and does what it says without irritation, I got through the product really quickly and I didn't really feel it was any better than the Soothing Cleansing Milk which I have been using on my eyes until then. I use Dr Hauschka make-up all over my face and prefer just the one product for simplicity. So I don't think I will be buying this again.